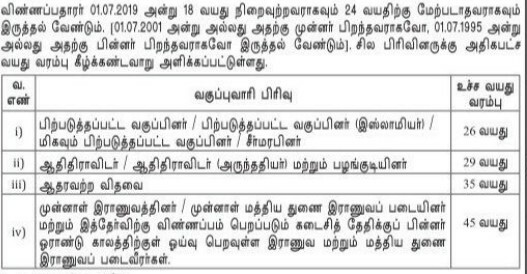 The Tamil Nadu Uniformed Service Recruitment Board (TNUSRB) has released the recruitment notification for the post of Gr. II Police Constables (Men & Women), Gr. II Jail Waders & Firemen posts on its official website, http://www.tnusrbonline.org/. The registration process starts from March 8, 2019 at 10:00 am and it will continue up to April 8, 2019. Interested and eligible candidates can apply for the post through the official website, www.tnusrbonline.org. For general category candidates, it is Rs 130/- only. 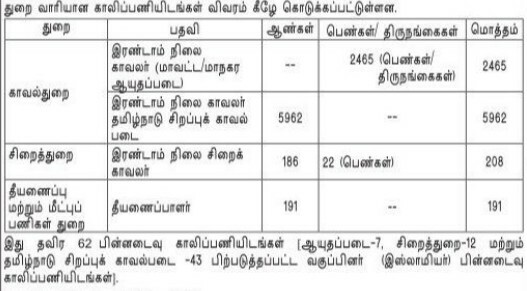 How to apply for TNUSRB Recruitment 2019 for Constable, Firemen, Jail Warder Posts?